Love the new CBBC series? Read the original books! TV tie-in edition of the New York Times bestselling series about the hilarious adventures of a cheeky, loveable hero. Twelve-year-old Henry "Hank" Zipzer is a smart and resourceful boy with a unique perspective on the world. Hank has dyslexia, and when problems arise, he deals with them in a way no one else would - putting him on a direct collision course with his teachers and parents, who don't seem to appreciate his latest scheme as much as he thought they would... But Hank always remains positive and convinced that the next big plan will deliver - after all, tomorrow is another day! 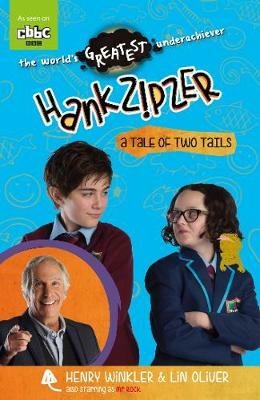 In A Tale of Two Tails, Hank and his sister Emily have both entered their pets into the school-mascot competition. Let battle commence!